650,000 entries, translations and phrases - much more than any other electronic dictionary! In addition, Babylon contains all the words found in other dictionaries. Babylon's electronic dictionary contains an advanced SPELLER that helps the student find words he does not know how to write them correctly. The Babylon dictionary contains Hebrew word swings, so it's easy to find almost every word in its italics by typing simple without searching. The dictionary also contains a selection of examples of the use of translated words that helps the student understand the meaning of the word and its correct use. A fast and advanced word search engine. Babylon is the best electronic dictionary in the world !!! With its 6,200,000 words and 300,000 expressions and idioms, Babylon leaves any other existing dictionary far behind. 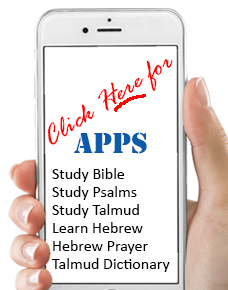 This is the only dictionary that includes all* the Hebrew verbs -- each with all its possible conjugations! This means that every word and every verb, (in any form and in any tense), is already in Babylon. Babylon allows searching for expressions that include multiple words. Babylon also allows you to toggle between words in any sentence and instantly translate each word while still keeping your current search active. You can bookmark desired words and their translations for later focused study.